Under the radar guitarist, singer and composer Phi Yaan-Zek has recorded and performed with the likes of Mike Keneally, Ron Thal (Bumblefoot), Marco Minnemann, Bryan Beller, Andy Edwards, Steve Lawson and Lalle Larsson among others. With 8 solo CD releases to his name since 1997, Phi’s dynamic musical vision dances yin-yang style between the polarities of passionate, dark intensity and warm, otherworldly playfulness. 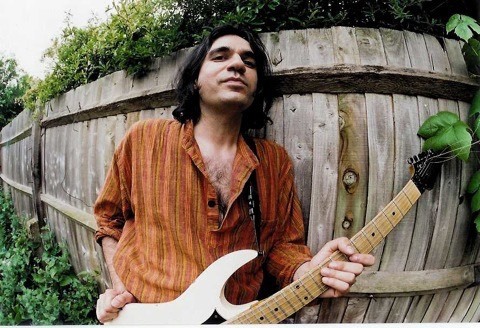 His music has been described as blending the intricate West Coast rock guitar sounds of pioneers such as Frank Zappa and Steve Vai, with British off-kilter eccentricity exemplified by XTC, Cardiacs, Gentle Giant, while adding a touch of cinematic grandeur that draws upon elements of Steven Wilson, John Barry and Igor Stravinsky. The musical result is a simmering cauldon of visionary, upbeat sounds that Phi likes to call ‘Adventure Rock’.